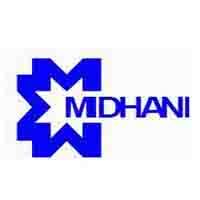 Mishra Dhatu Nigam Limited, abbreviated as MIDHANI, is specialized metals and metal alloys manufacturing facility in India, located in Hyderabad, Telangana. It is a Public Sector Undertaking, under the administrative control of Department of Defence Production, Ministry of Defence, Government of India. Applicants who have completed BE/ B.Tech/ Diploma or equivalent from a recognized Institute for MIDHANI Sarkari Naukri 2019. Eligible & Interested candidates can Download Notification From Official website page at www.midhani-india.in MIDHANI Sarkari Naukri 2019.